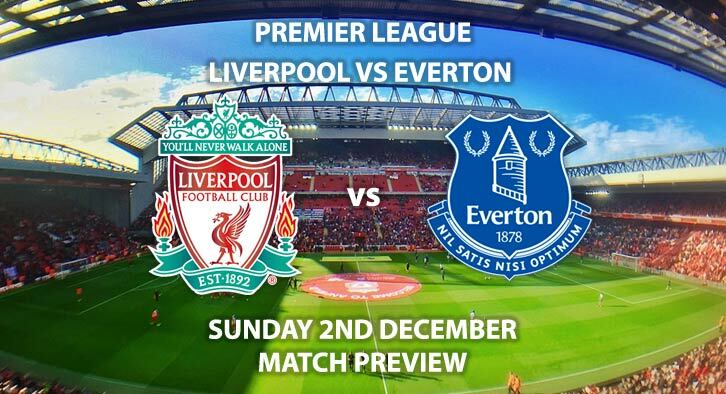 Liverpool vs Everton: Liverpool will be looking to close the gap on Manchester City when they take on Everton in the Merseyside derby. The Reds suffered a damaging 2-1 defeat to PSG in midweek, which has left their Champions League hopes in the balance. Victory over Napoli at Anfield will see them progress, as long as it is by a two-goal margin, or the score ends 1-0. In the league, they beat Watford 3-0 last weekend, with Xherdan Shaqiri once again the star of the show. The Swiss international has been a bright spark in recent weeks, and his creativity was missed in Paris. I wouldn’t be surprised to see him restored to the XI at the weekend, as a result. In attack, the Reds will be looking to get more out of Roberto Firmino. The Brazilian has scored just twice in 16 games, which is a worrying stat. At this stage last year he had 11 goals, which is a stark difference. Everton have lost just once in their last seven games and picked up three points against Cardiff City last weekend. Most of their good play has come through Gyfi Sigurdsson. Their Icelandic playmaker has scored six goals in his last 11 games for the Toffees. For an attacking midfielder that is some feat. Defensively, there has been a marked improvement for Marco Silva’s side. Yerry Mina and Michael Keane seem to have struck up a good partnership, which has seen them leak just three goals in their last seven matches. They will again need to be at their past if they are to keep Liverpool’s attacking force at bay on Sunday. Chris Kavanagh is the referee for this game. The Englishman has officiated nine top-flight matches this season. In that time, they have accumulated an average booking points total of 31.7. Therefore, I would recommend a maximum of 50+ total points for this derby fixture. Liverpool will be desperate for a response against their nearest rival. Jurgen Klopp has a good record in the Merseyside derby and he will want to extend it this weekend. As a result, I think they will edge this match, but it will be a tight affair. Correct score: Liverpool win 2-1 – (link no longer available). Scorecast Boost – Mohammed Salah to score first & Liverpool win 2-1 – 50/1. Price Boost Both Players to Score – Sadio Mane & Richarlison – 11/1. Correct Score Group Betting – Liverpool win 1-0, 2-0 or 2-1 – 13/8. RequestABet Special up to 10/1 – BTTS, 4+ corners each team and 20+ booking points each team – 8/1. Popular RequestABet – Salah & Sigurdsson to score from outside the area – 150/1. Odds and markets last updated on Sunday 2nd December @15:29 GMT. Keep checking back to see if there’s any updates to markets – the time stamp in the previous sentence for when we update tips on this page will be updated.